The week of Thanksgiving causes many people to stop and reflect on the many reasons they should be grateful. Just like millions of Americans, Pinnacle has much to be thankful for this year. 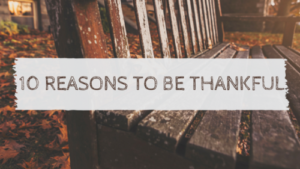 From our clients to our commitments, here are 10 reasons we are thankful in 2016. There are so many reasons we are grateful that we can not possibly list them all. So we are highlighting the most important ones for you. Customers– We are continually amazed at the referrals and opportunities we receive as a business to grow our client base. Many of these new clients are because of an existing clients referral or great review. We can’t say thank you enough! Community– Pinnacle was once again nominated this year in several different community related honors by our peers and clients. We can’t tell you how humbled we are by the support of so many great community organizations. Our Team– As our business grows, so does our team! From the graphics staff, installers, and our third-party affiliations nationwide – we are only as good as the employees who work to make Pinnacle successful. New Equipment– We had the opportunity to add two new in house elements to our services this year with the Laguna Router and Vanguard Digital VR5D. These new additions allow us to reduce both labor and material costs that makes our team more productive and increase time and efficiency for our customers. Commitment– After 5 years in the industry, our team is just as committed today as we were on day 1 to provide quality sign solutions to the Atlanta market. We could not be successful without the commitment of our team. New Boundaries– Each year we continue to expand our geographical borders. 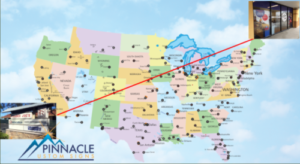 Pinnacle now creates and coordinates the installation of brand signage for multiple national accounts. Connections– We are honored to serve as mentors to new business owners in the sign industry. Each year we are amazed at how many entrepreneurs in this business walk through our doors to gain wisdom from Pinnacle. We have an never ending supply of new connections through mentor-ship. Our Milestones– This year Pinnacle has reached several milestones in our defined business goals that have allowed us to reach new “pinnacles” of success. By reaching these goals, we can set new goals for 2017 and beyond that allow to us to reach new levels of service for our clients. Our Family– We wouldn’t be the company that we are today without the support of our growing family. We truly are a family business and we treat each member of our staff in that capacity. #RollTide – For those of you who know us, you know that college football runs deep around the office! There is nothing that makes us happier on a Fall Saturday than an win by the Crimson Tide. Finally, we are extremely grateful for each of you taking the time to read our post each week. So let us take a moment to wish you and your family a Happy Thanksgiving from all of us at Pinnacle. Can we help you reach some of your goals to end out the year for 2016 or start 2017? We always offer complementary consultations and would love to work with you in the coming weeks. Give us a call if we can be of assistance!